TEL AVIV – 30 people attended a funeral in New York for a woman they didn’t know after reading about her death on Facebook. 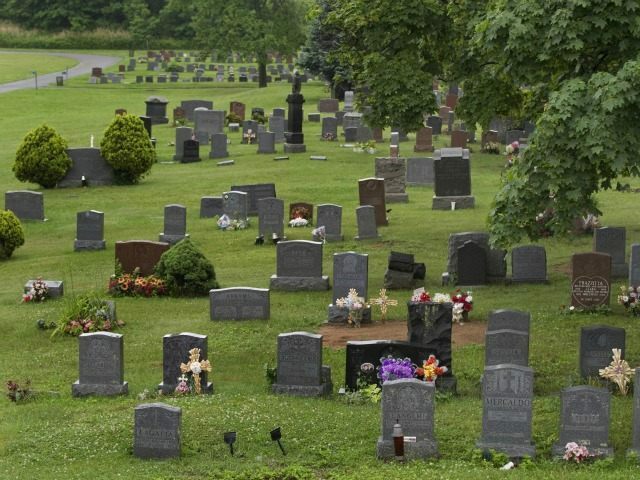 83-year-old Francine Stein was buried on Wednesday in the presence of strangers after it became apparent that she had no living relatives or friends that would attend. A graveside funeral at Temple Israel Cemetery in Blauvelt in New York’s Rockland County was conducted by Rabbi Elchanan Weinbach. Rabbi Weinbach’s daughter Ora, a high school teacher in New Jersey, asked people to come in a Facebook post. “Huge mitzvah opportunity. A woman is being buried tomorrow who has LITERALLY NO ONE attending her funeral, other than the funeral home director and the rabbi (my father). Who would like to join me at the funeral? I will be leaving Teaneck at 10:45. Free lunch with the rabbi after,” the post read. Ora Weinbach said the post was instantly shared by her friends whose friends in turn shared it, bringing in the attendees less than 24 hours after she originally posted. The crowd succeeded in comprising a minyan, the 10 men quorum required by Jewish law to say the Kaddish prayer for the dead. Citing local newspapers, the Times of Israel reported that mourners came from all walks of Jewish life, including an atheist. Some of them volunteered to be pallbearers. For a decade, Stein lived in an assisted living facility before being hospitalized for cancer in 2014. During her younger years, Stein had been a musician and teacher at the Juilliard School. According to Gwen Curry, an assistant administrator and case manager at the New Monsey Park assisted living facility, Stein had loved ones who would have attended her funeral but they were unaware she had passed away.